Faith, family and ducks: For these reality TV stars, ‘holding hands with Hollywood’ presents a challenge as they endeavor to share Jesus (reporting from West Monroe, La.). Currents. WEST MONROE, La. — Hollywood, meet the real Robertsons. A&E’s hit reality series “Duck Dynasty” has made celebrities out of Duck Commander Phil Robertson, his wife Kay and their bearded, camo-clad sons Willie, Jase and Jeptha, not to mention “Uncle Si,” Phil’s younger brother. 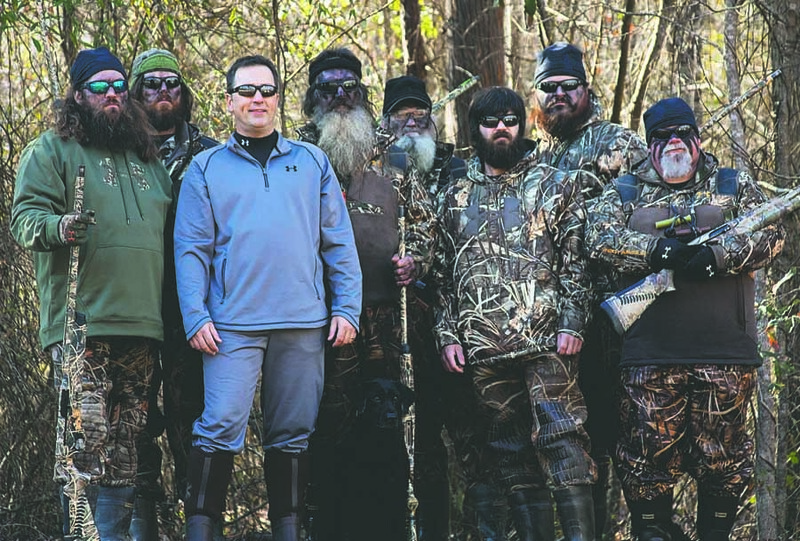 As the network portrays it, the series — whose Season 1 finale drew 2.6 million viewers — follows a Louisiana bayou family living the American dream as they operate a thriving duck call and decoy business while staying true to their family values. For the Robertsons, those values relate to the grace and salvation found in Jesus. But for the show’s producers, the family’s strong Christian faith seems to be an uncomfortable storyline — one frequently chopped in the editing room. ‘Duck Dynasty’ trip conjures precious boyhood memories (reporting from West Monroe, La.). Inside Story. For rural Louisiana church, prayer workshop an annual source of spiritual growth, strength (reporting from Calhoun, La.). National. Kansas church plans resource center for released prisoners (reporting from Kansas City, Kan.). Second Front. This post highlights my stories in the November 2012 print edition of The Christian Chronicle.